Battersea Park: it's full of secrets, you know. Here are six. Londoners today may complain about having to pay to use public toilets, but there was a time when they moaned when they DIDN'T have to pay. According to the Friends of Battersea Park website, when the ladies toilets in the park were made free, there were complaints from some of the park's wealthier visitors, who didn't want to be seen going into a cubicle marked "free". The penny charge was reinstated. 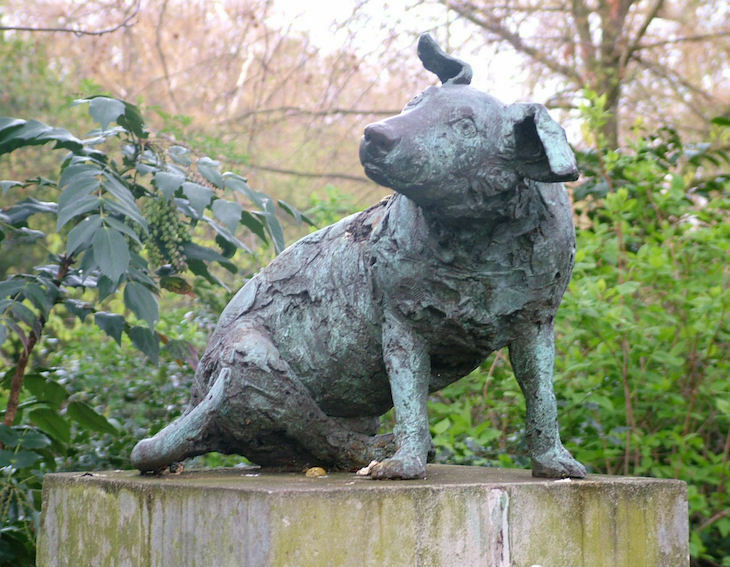 Anyone who ventures onto a path north of the English Garden in the Park may come across the above canine statue. It's known as the Brown Dog Statue, and was erected in 1985 to replace the original statue, which had been something of an issue of contention. The original was put up in 1906 in memory of animals who had undergone vivisection experiments at University College, by people who were against these practices. It was deemed provocative by medical students, and was therefore vandalised several times. In December 1907, 1,000 medical students marched through London, clashing with police in what became known as the Brown Dog Riots. In 1910, Battersea Council removed the statue due to the cost of policing the statue and the controversy it caused. 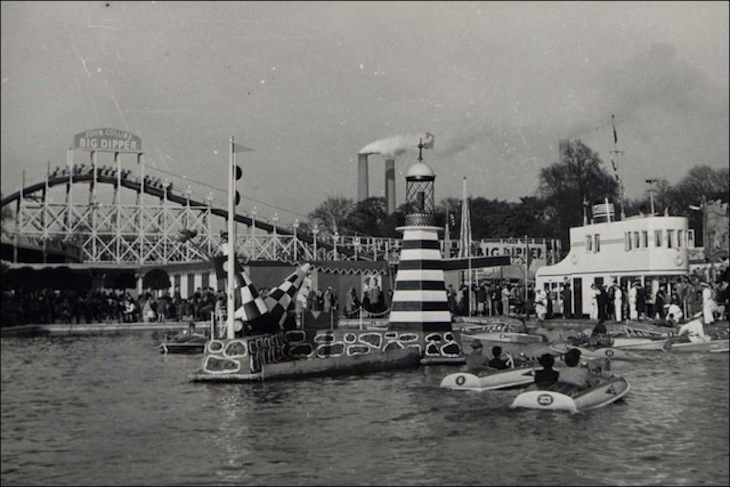 The world's worst rollercoaster crash happened in Battersea Park in 1972, when a malfunction caused the Big Dipper ride to hurtle backwards, killing five children and injuring 13 others. Read more about that incident here. 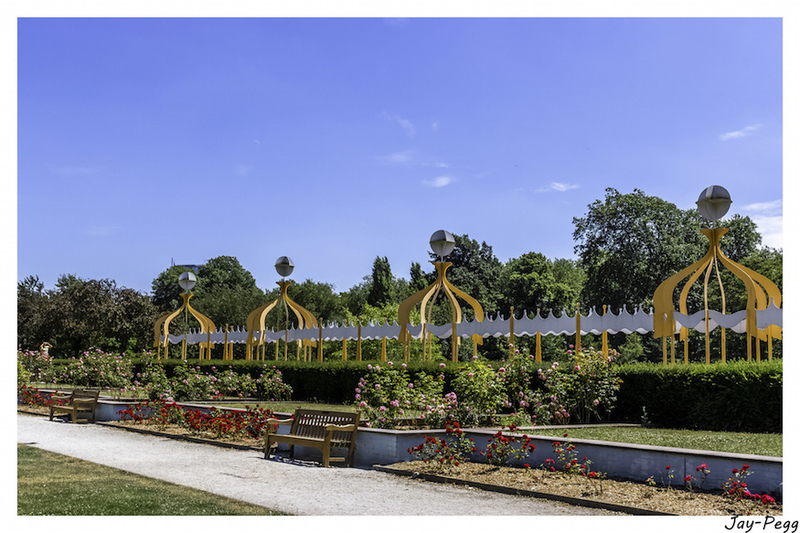 For the 1951 Festival of Britain, several sculptures were created for the Pleasure Gardens at Battersea Park. The Miranda Mermaid Fountain was created by Czech sculptor Arthur Fleischmann. It's actually based on two different models; the legs are based on Joyce Taylor, who at the time was a 21 year old Royal Academy of Music and Drama student. She posed for the artist over a three month period. The model who posed for the top half of the statue opted to remain unidentified, as she thought her parents would disapprove of her involvement. The statue is now Grade II listed, although it's no longer in London — after the festival, the statue was moved to the headquarters of Lockheed Hydraulic Brake Co, the company which had commissioned it, in Leamington Spa, where it remains today. 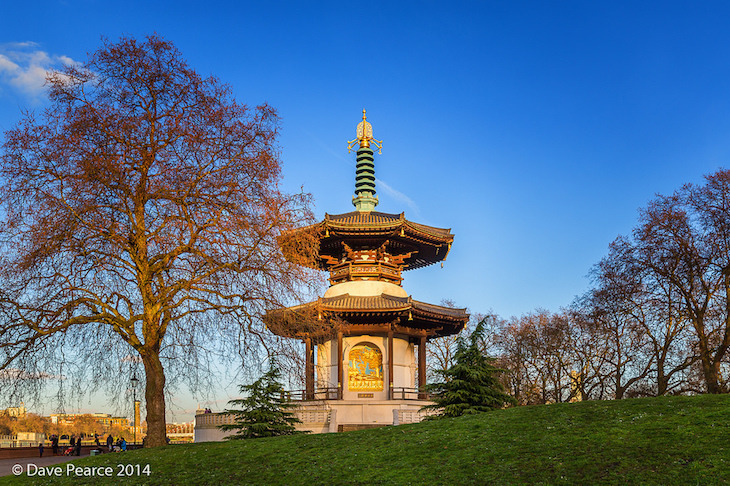 Perhaps the most famous element of the park is the peace pagoda, but did you know that a single Buddhist monk cares for it on a daily basis? Reverend Gyoro Nagase has lived in a storeroom converted into a temple in the Old English Garden since the Peace Pagoda was built in 1985. He spends his days cleaning the Pagoda, often helped by volunteers, and relies on donations to live. Early every morning at sunrise he walks from his temple to the Pagoda, gently beating a drum as he goes. 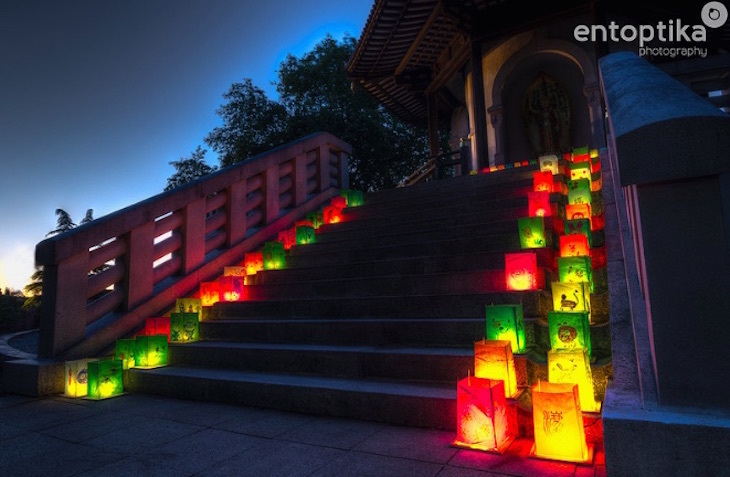 On 9 August every year, a floating lantern ceremony takes place on the Thames in front of the Peace Pagoda at dusk, to commemorate the anniversary of the Nagasaki atomic bomb.